Fragrance: When the electrifying energy of black coffee meets the assertive femininity of white flowers. A vibrant, sensual and addictive contrast of light and dark. Black coffee accord - Orange blossom - Cedarwood - Patchouli The Bottle: More irresistible than ever, the Black Opium bottle is reinvented in an unconditionally rock decor, absolutely feminine. The black glitter finish electrifies the intense black lacquer and reveals a blazing ring of burning femininity. The Personality: Assertive and unique, the Black Opium woman embodies the new Yves Saint Laurent spirit. Free and self-confident, she expresses a femininity glamourous yet impertinent. Always searching for new experiences, nothing will stop her. The Inspiration: A modern, young & vibrant interpretation of addiction. 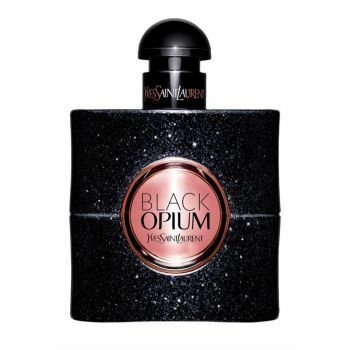 Black Opium, a fragrance like a shot of adrenalin, the necessary energy for a life more & more intense.